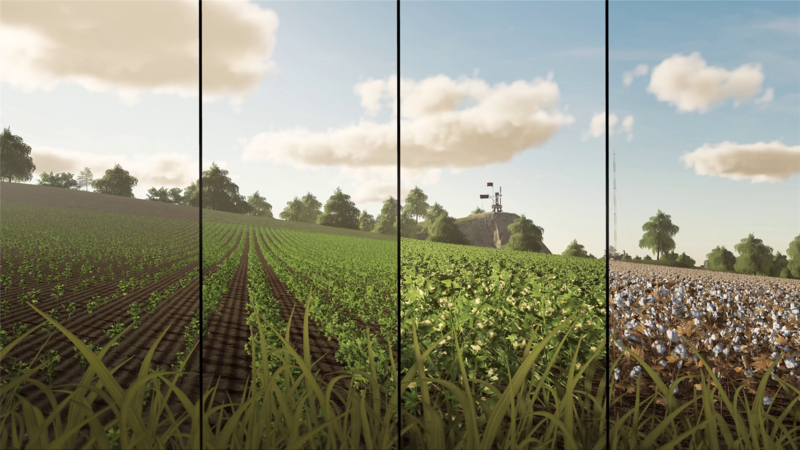 A new developer blog from GIANTS Software has been released, detailing the new crops and weed growth system that has been implemented in Farming Simulator 19. This is fantastic information for both new players and seasoned veterans alike as the weed system is entirely new, and while some details were revealed during GIANTS’ FarmCon conference in July 2018, information on this new gameplay component has been relatively scarce. The blog first explains how the new crops are grown, harvested, and transported to market. Oats are grown in the same manner as the other cereal crops in the game (i.e., wheat and barley), therefore using the same type of combine, header, and other equipment as those crops. Players who own horses will need to grow this crop in order to feed their herd, and oats will also allow the player to produce straw (if they choose to enable the straw swath on their combine), which can be used for bedding animals. 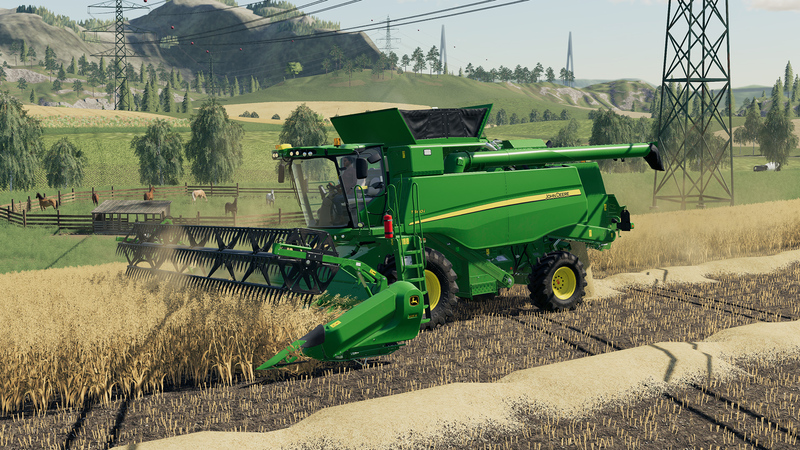 A screenshot of the John Deere T560i (which we recently learned is the only John Deere combine in Farming Simulator 19) accompanying this part of the blog is downright gorgeous – the model looks incredible, and the landscape behind it equally stunning (including the conveniently located horse paddock). Cotton, on the other hand, is purely for profit. Players will need to seed, weed, fertilize, and harvest the crop – the harvesters pack the cotton into “modules”, or large square bales of cotton, which can then be picked up and transported to market by Lizard-brand trailers. This appears to be GIANTS’ way of telling players that the trailers for module transport won’t have any official branding, instead using their in-house Lizard brand. A piece of information that wasn’t included in the blog regarding cotton is that even though cotton is technically a perennial plant (regrows year after year on its own), when grown for commercial farming purposes it is typically re-seeded each year (after some form of tillage) to avoid pest and disease issues and ensure maximum yields. 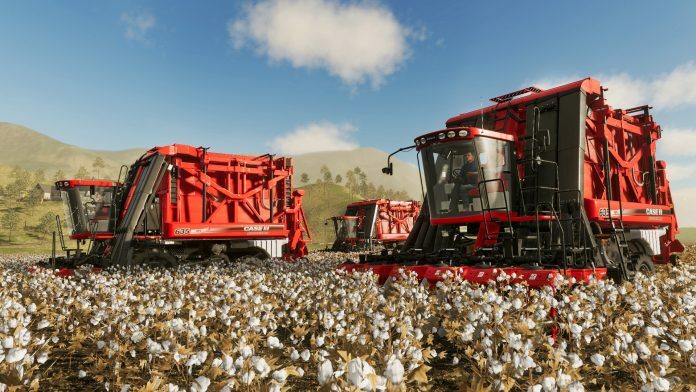 Because of this, and to keep it simpler for inexperienced players, cotton in Farming Simulator 19 won’t regrow and will need to be reseeded after each harvest. The part of the blog that’s most interesting to me is the portion explaining the new weed system in Farming Simulator 19. 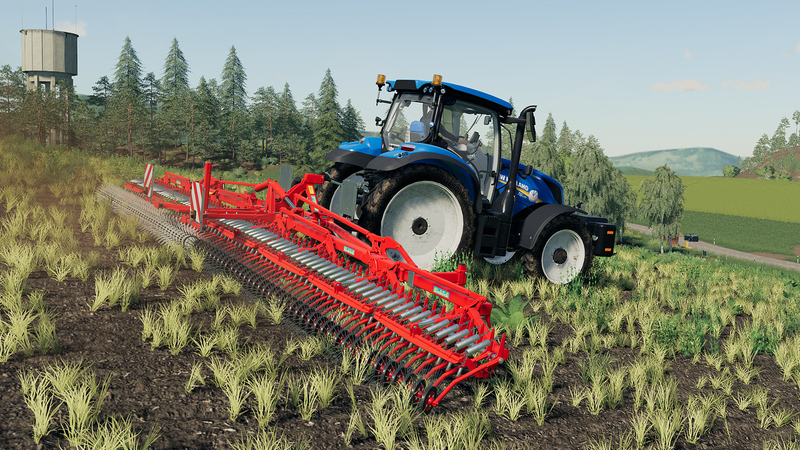 Mechanical weeders were introduced in Farming Simulator 17, however they merely acted as an alternative way to fertilize crops – joining the existing methods: spraying or spreading either solid fertilizer, manure, or slurry. While weeders entered the game, weeds themselves weren’t actually present. 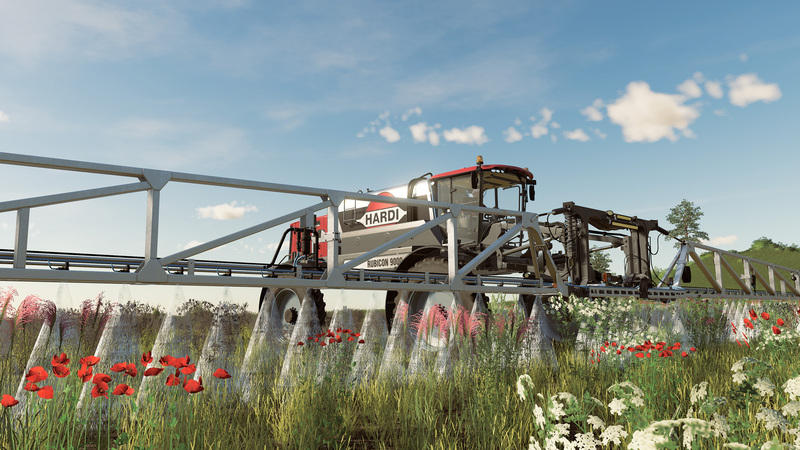 Farming Simulator 19 changes that, and weeds will begin to grow once a crop is seeded (you can’t deal with weeds by pre-applying a herbicide before seeding). Weeds will be “young” for the first two stages of crop growth, and can be removed either with a mechanical weeder or by spraying herbicide on them. If you fail to deal with the weeds early and they reach their second stage of growth, the only way to get rid of them is by spraying herbicide on the field. And it’s important you do get rid of them: failing to do so will result in a 20% yield penalty on that field. This system adds a whole new layer of gameplay to the existing structure from previous games. Previously, in Farming Simulator 17, players simply had to plant, fertilize, and harvest their crop. Players will now have to add the elimination of weeds to that list, and can choose whether they’d like to invest in a weeder for weeds and another system (e.g., a solid fertilizer spreader) for fertilization, a sprayer that can handle both tasks, or some other combination of equipment. One key point not included in the developer blog – and confirmed by GIANTS’ Community Manager Lars “Lisertan” Malcharek on the developer’s forums – is that since sprayers can now both apply herbicide and liquid fertilizer, players will be able to empty their sprayers and store the remaining product of one type so that they can switch and use the other. This is really exciting to me, as it adds yet another layer of management to the game (even if it’s just a small one). The blog also provides a first look of all of the game’s new icons, which are key to understanding which piece of equipment in the game can do what, and can also provide some insight into the game’s activities. For instance, the presence of a “forage (mixed)” icon as well as another for simply “forage” intrigued me. Malcharek explained (via a different post on the GIANTS forums) that “forage (mixed)” is when you don’t quite get the correct ratio when mixing feed; “forage” is when you get it right. Farming Simulator 19 releases for PC, Mac, PS4 and Xbox One on November 20. Scholarly Gamers will be providing coverage of all the news that is news leading up to launch, so be sure to check back for more!